Last year we saw the Barkley Posite Max wherein the old Nike CB was retooled using a different upper which was foamposite. If that shoe made you interested in copping retros that were beefed up by combining other techs, this shoe might interest you. 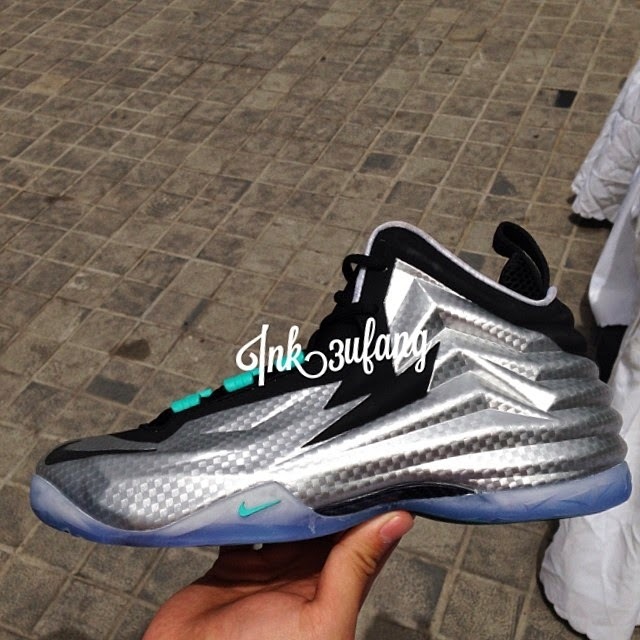 This could be the next in the Barkley Posite series although I can't see too much resemblance as it looks too "spacey" for me. However those who love foamposite would want to cop this as it looks good off court. I hope the upper is not too stiff and would break in easily if you want to take this on court and dominate the game like Charles Barkley did back in the day. No release date for this yet though. So what do you think, would you cop this?